Good morning from the offices of Advent, where the team working on Design-A-Thon Nashville has begun their work for Our Kids. After enjoying breakfast and setting up work stations, lead organizer David Fox kicked things off with the team. Each team member gave a brief introduction (including their favorite guilty pleasure movie) and then Sue Fort White, Executive Director of Our Kids, showed the video that was the impetus for the campaign. Offering a word of inspiration and wisdom, she gave the team the go-ahead to begin work. The content, development, and graphics teams have met and are currently preparing work for their first client check-in shortly. 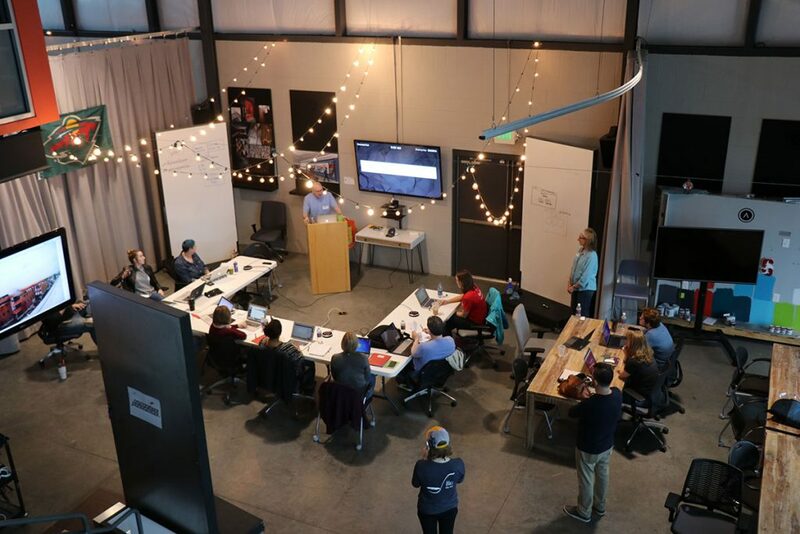 Copyright © 2019 · Log inDesignathon Nashville is a nonprofit event facilitated by TechFed Nashville, a Tennessee nonprofit organization whose mission is to support and grow the grassroots tech talent in Middle Tennessee through educational events and groups.